Your kids will never want to leave their own private 'tree house in the sky'. 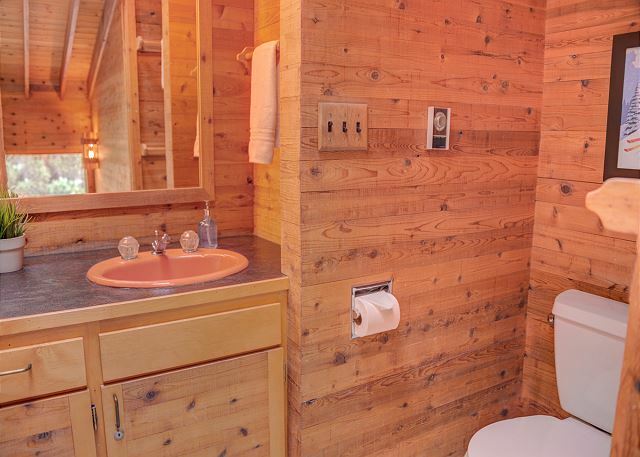 Nestled on the 17th Fairway of Big Meadow and seemingly looming among the tall pines, the privacy and fun experience of this home will be long remembered. A spacious 1,701 square feet, golf Home Site #21 is a great vacation home for two families or your extended family. 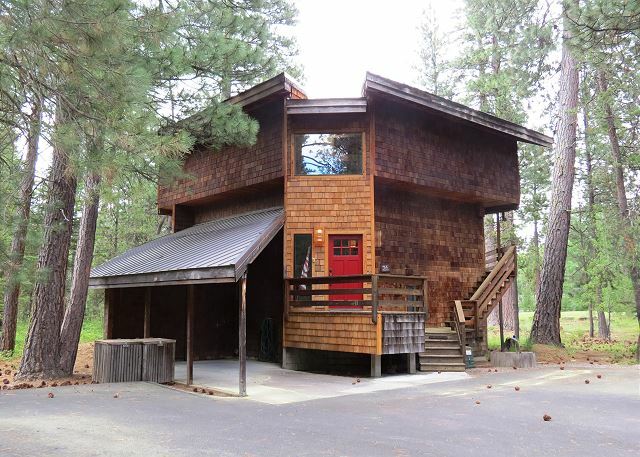 It is located close to the newly updated Lodge amenities, just a short walk or bike ride away on level terrain. Golf and Robert's Pub are also minutes away. The entry door opens to a hallway that leads to the main living area in which you walk into the newly remodeled kitchen with slab granite counter tops, slate floors, and new stainless appliances. The kitchen is spacious and has more than adequate cabinets and counter space. The living room has a large wood burning fireplace, a wonderful golf course view and deck access. The dining room, living room and kitchen are open to each other with convenient open concept living. The cook will never feel left out! Upstairs are two bedrooms with 1 queen bedroom and 1 king bedroom and a 3/4 bath that is shared. The stairs downstairs lead to the family room, which is a great area for kids to watch television or movies and give the adults some separation! 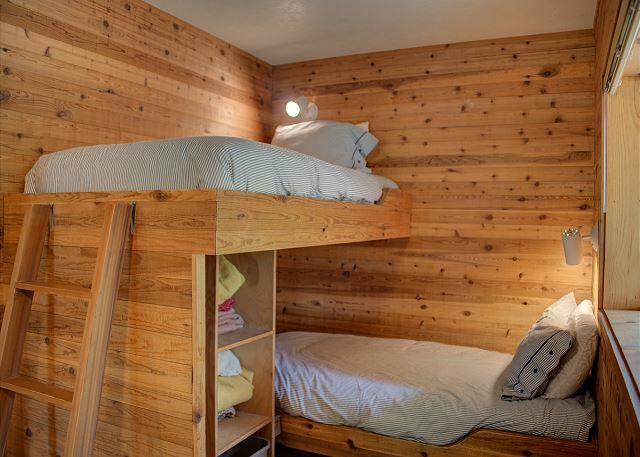 The two bedrooms have 2 bunks each which share a 3/4 bathroom. There is a carport and the home has wifi access. 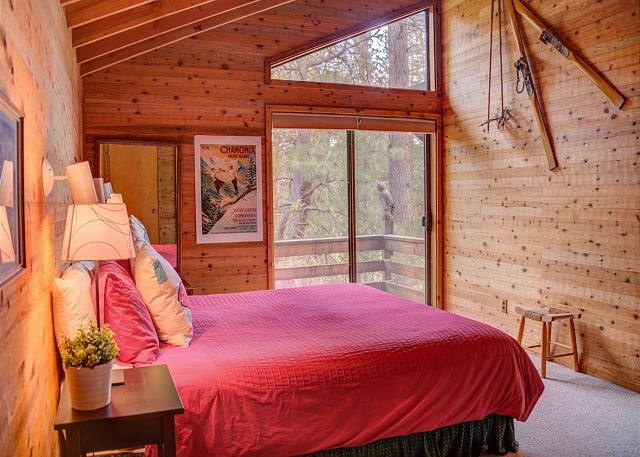 This out of the ordinary Black Butte home will be fun for the whole family and help make many wonderful Black Butte Ranch memories. This house and location is ideal for 2 families. The only feedback to improve the experience - since cupboards in the kitchen are not available for food storage - and cooking for 2 families necessitates a good amount of food storage - the corner nook near the dining table would be an ideal location for a large shelving unit to assist in organized storage. We spent a fun week in this house in August. The house can easily accommodate 2 families and there is nice separation if desired between the kids and adult spaces.